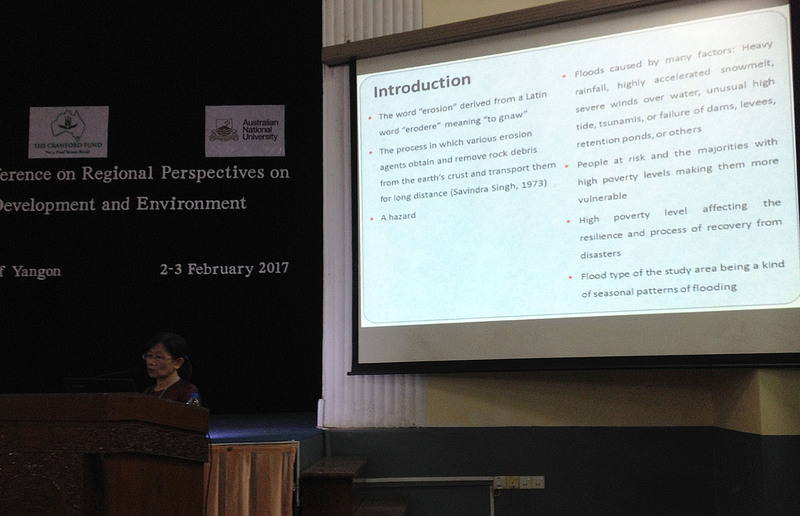 With the support of the Crawford Fund, Dr Helen James (Adjunct Professor of Anthropology at ANU) was able to convene an international conference for academics at the University of Yangon, Myanmar, on ‘Regional Perspectives on Population, Development and the Environment’. to discuss ideas related to ongoing human security issues in Myanmar and around the Southeast Asian region. “The objectives were met to a high degree of success,” said Dr James, who works within the School of Culture, History and Language in the College of Asia Pacfic at ANU. 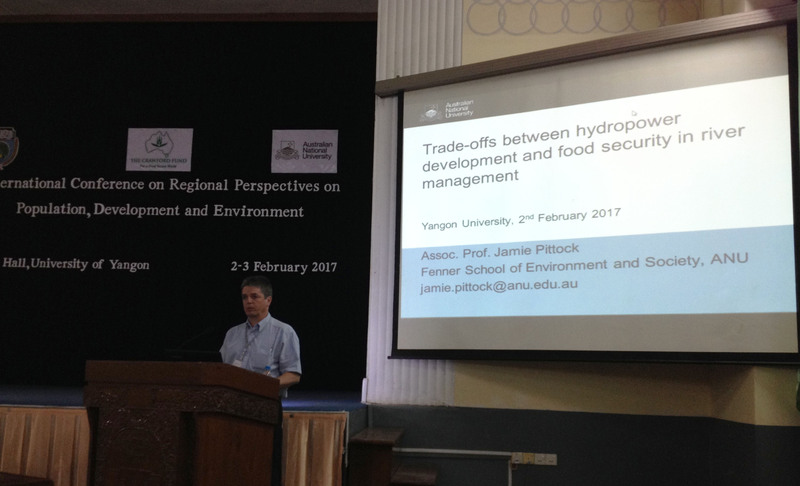 Over 150 participants took part in the conference, and these included delegates from other Myanmar universities (including regional universities), NGOs, Water and Agriculture specialists, officials from some Ministries, and all departments at the University of Yangon. 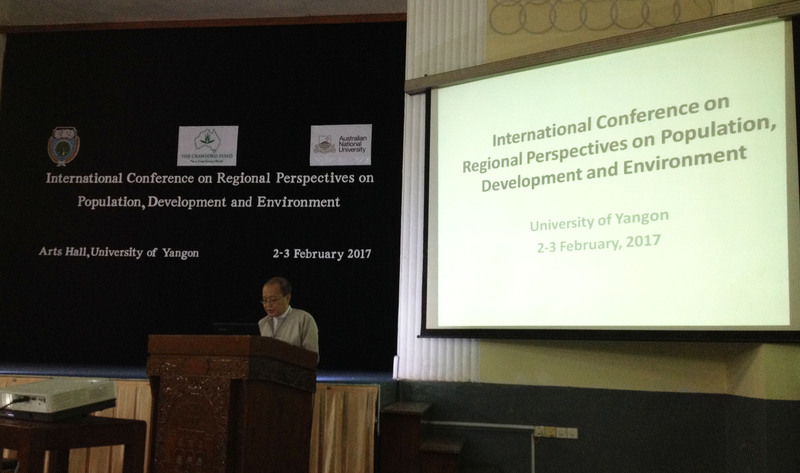 More than ten papers were presented by University of Yangon academics who worked in multidisciplinary teams. International speakers presented 14 papers and came from Australia (ANU and UNE), Germany, Indonesia, Canada, China, Japan, New Zealand and The Netherlands. “All papers were very well received and judged to provide much material of benefit to Myanmar and other regional countries. Each of the Q&A sessions was highly interactive and fast moving as participants took the opportunity to press home the issues they wished to explore,” said Dr James. 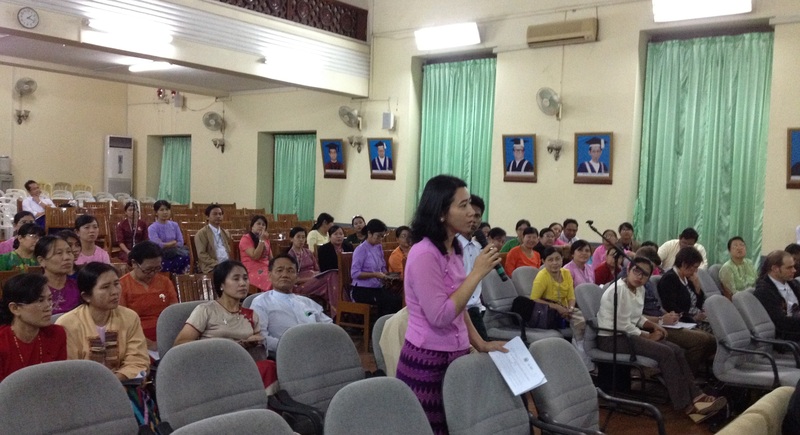 “The training program showed UY academics how productive working in multidisciplinary teams can be in terms of addressing some of the pressing problems in Myanmar society. 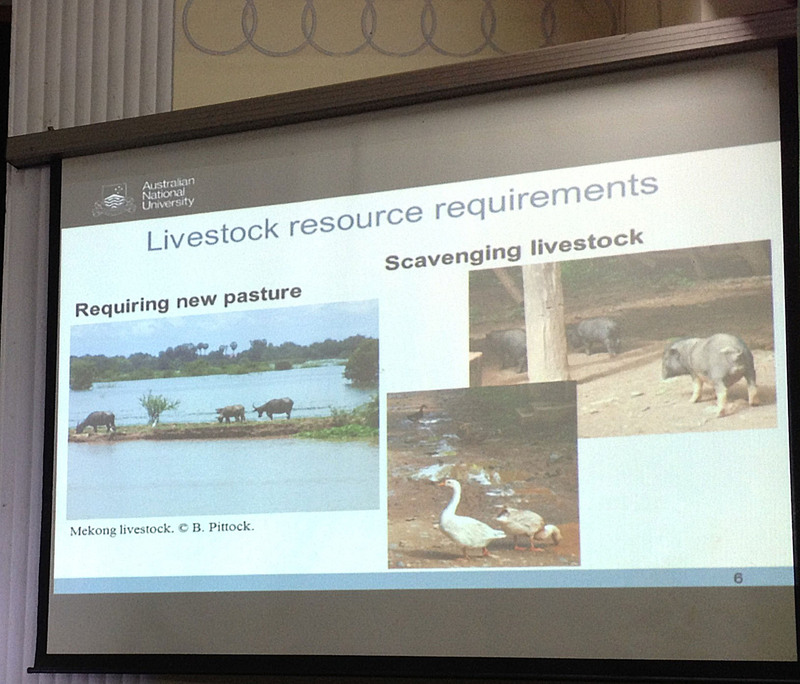 Sharing these experiences with others around the region also showed them that benefits can flow from collaboration with others who have experience in this area of research,” said Dr James. “The speakers acknowledged with gratitude the support from the Crawford Fund,” she said. Two media outlets from the Myanmar television stations covered the conference, as well as the English language newspaper, The Myanmar Times.